Alaska pipe supply experts. Based in Fairbanks, Alaska. 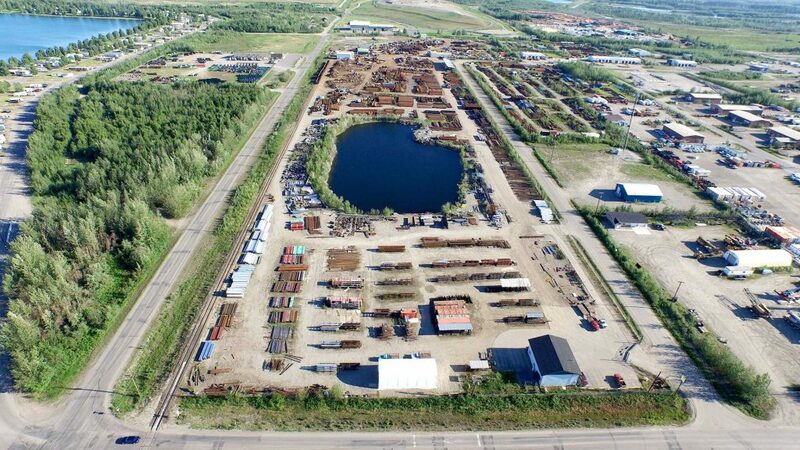 C & R Pipe And Steel in Fairbanks, Alaska is the largest pipe distibutor in Alaska. When you choose us, you choose access to 7,500 tons of steel pipe supply in our inventory. We offer new and used pipe, structural pipe, pilings, well casing pipe, bollards, steel posts, culverts and more! We supply the steel pipe products you need at competitive prices. We offer a comprehensive range of steel pipe products and services, including welded pipe, seamless pipe, ERW & DSAW, spiral weld pipe, low temp, black, galvanized pipe, T&C, cutting, splicing and beveling. Based on your specifications, our steel piping sales specialists in Fairbanks can help you find new and used pipe, structural pipe, pilings, well casting pipe, bollards and steel posts. If it’s steel pipe fittings and flanges you’re searching for, search no further! Our lot in Alaska carries weld neck flanges, slip-on flanges, blind flanges, threaded flanges, socket weld flanges, 90-degree elbows, 45-degree elbows, weld caps, weld-on T’s and concentric and eccentric reducers. Many pipe sizes are available for special order. We have all the Alaska pipe products you’ll ever need. Call 907-456-8386 today. Chemical and Mechanical. Seamless. Welded. Size range: 1/8″-26″ O.D. 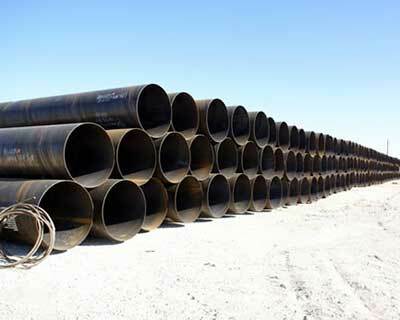 Seamless carbon steel pipe for high temperature service. Hydrostatic Tested. Chemical and Mechanical. High Test Line Pipe. Seamless and welded. Chemical and Mechanical. We have a large stock of high quality used pipe and pile. There are many grades available. As well as high strength pipe and pile which is useful for driving into difficult ground. Save money with high quality used steel pipe. Call us at 907-456-8386 to learn more. 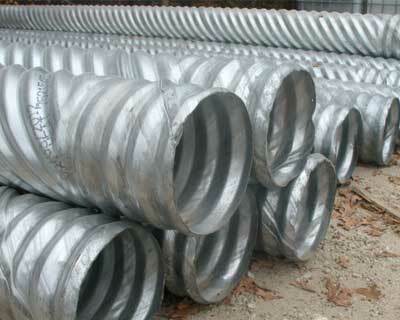 When you buy steel pipe you will need to know some specifics about the type of pipe you need. This includes knowing the pipe grade and size. Here is some information to help you purchase the right steel pipe for your project. But first, let’s clear up some terminology. Many people use the words “pipe” and “tube” interchangeably. But there is a difference. Pipe is used to transfer fluids, gases and air. Tube is used for structural purposes. Theoretically, you could use pipe in place of a tube, but not the other way around. 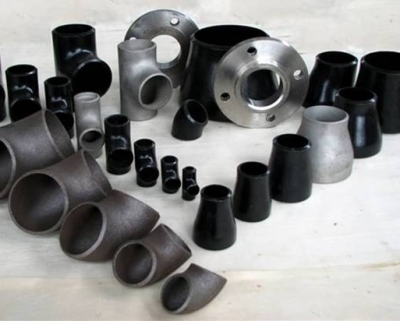 Pipe has an inner diameter (ID), outer diameter (OD) and a wall thickness (SCH). ID and OD are measured in inches. 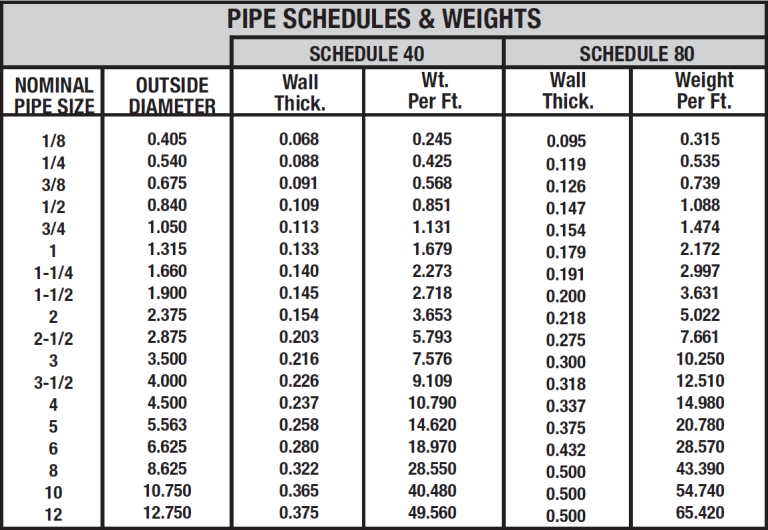 Here is a chart to help you understand the relationship between wall thickness and pipe size. I consent to C&R Pipe and Steel collecting my details through this form. The inner diameter of 3” pipe will change based on the schedule number. The outside diameter of 3” pipe (which is actually 3.5”) will always be the same. Take a close at the chart above and you will see that 3” NPS has an outer diameter of 3.5”, but the inner diameter changes based on the schedule size. This is where the term “nominal” comes in. Nominal means “in name only”. So a 3” pipe is not always 3” in ID. But is still called “3-inch pipe” in name only. Important note: Nominal pipe size refers to the approximate inner diameter (ID) of all pipe 12” or smaller. On pipes larger than 12” the NPS refers to the outer diameter (OD) of the pipe. Seamless pipe is extruded from a billet and has increased ability to withstand pressure. Welded pipe is produced from a strip, rolled into a tube and welded together. ERW (Electric Resistance Weld) pipes are common types of welded piping. Seamless pipes are superior in strength, but advances in weld have improved the strength of welded pipe seams considerably. Contact us if you are unsure of which type of pipe to order for your project. Steel has a complex mix of chemical and physical properties. The mix of these properties determines the mechanical properties of the steel (such as minimum yield and tensile strength). It is the mechanical properties that determine the grade of the steel. Use the tabs below to help you determine the grade of pipe you need for your project. We sell Common ASTM Grades (Welded–A53, A252, A500 and Seamless–A106, A333) and Common API Grades (Welded & Seamless–5lb, 5l, X42-X70 Pipe Thicknesses through–2″, Pipe Diameter 3/8”– 60″). Please note that many grades and sizes are available for special order. We are here to help. Call today 907-456-8386. Join our mailing list to get emails from C & R Pipe & Steel.